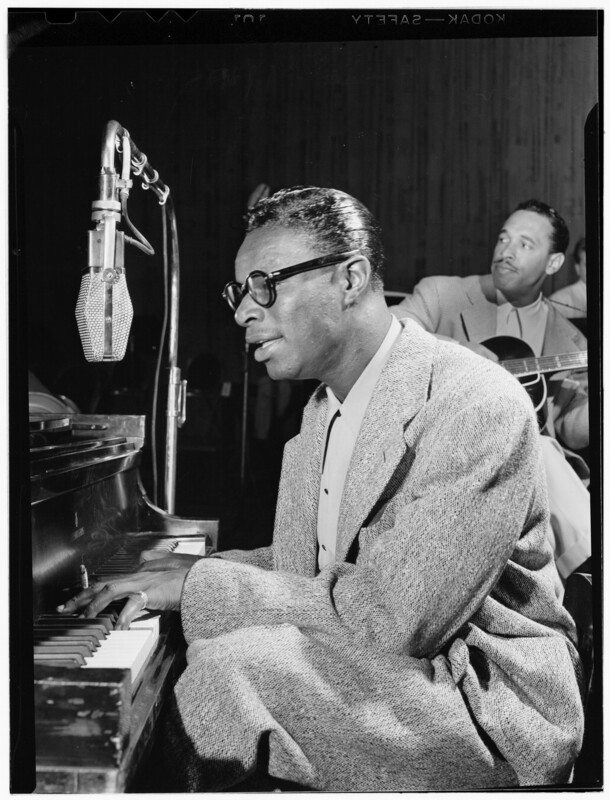 BORN TODAY IN 1919, Nathaniel Adams Coles was a jazz pianist and vocalist who donned zoot suits, smoked Kool menthols and was quoted with such memorable quips as "Madison Avenue is afraid of the dark." and "Critics don't buy records." Widely known for his chart-topping, velvety-smooth recordings of "Mona Lisa, "Too Young" and that chestnut-roasting classic that would become the Christmas song of all Christmas songs, Cole in fact had his roots in jazz, receiving flak from jazz fans and critics upon "selling out". Throughout his career, Cole also experienced much prejudice, being unwelcome to stay at hotels he would play at, even suffering an assault while performing at a concert in Birmingham. Living in a then-all-white Hancock Park in Los Angeles, Cole and his family were deemed "undesirable" by the association, to whom Cole was said to have calmly responded: "If I see anybody undesirable coming in here, I'll be the first to complain." "That's just the kind of temperament Nat had." Maria Cole said of her late husband in an interview with film critic Joel Siegel. "He really didn't express himself a lot in the negative." added daughter Natalie in the same ABC News special. Cole's elegant presence echoed through onstage and offstage aspects of his life, albeit it was a short-lived one. At age 44, he was diagnosed with lung cancer, which despite treatment and surgery, led to his death in 1965. Nat "King" Cole's singles continued to top charts up until 2 decades after his death, and compilations of his recordings continued to be made for the next 50 years or so. Here, a marathon of Soundies from Cole's earlier days feature him on the piano with his trio. Bright, beaming and cool as a cucumber, Nat "King" Cole is proof that an ease in persona is not reserved solely for those who have it easy.